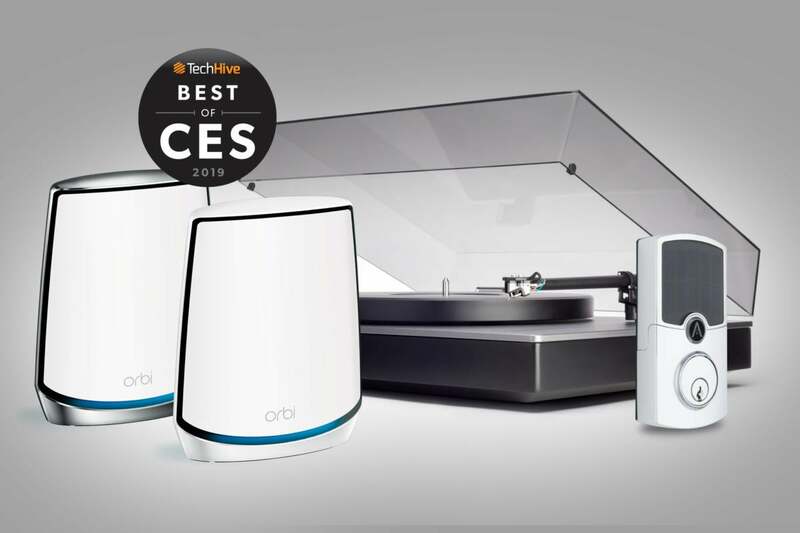 CES 2019 has been inundated with all the product categories TechHive cares about, but we separated the mundane from the amazing to name the very best. CES 2019 has been ground zero for a dizzying array of connected devices—and if we’re being honest, we only saw a fraction of what the show has to offer. It’s just that big. But we did track down most of the new product releases in TechHive’s wheelhouse, and now we’re ready to share our picks for the Best of CES. To win a Best of CES award, a product has to show unique promise and technical innovation—but do keep in mind these aren’t final reviews. So please check back throughout the year as we test this gear, and issue final review verdicts. 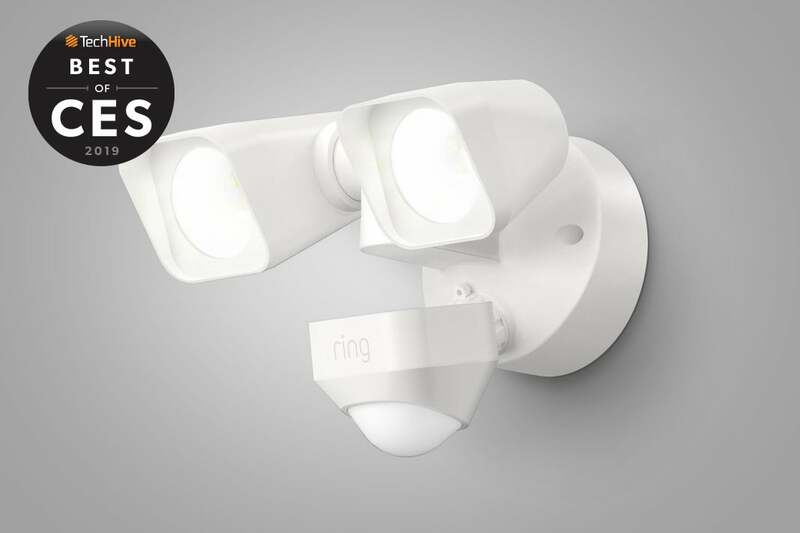 Ring launched a whole new range of smart lighting at CES, and it integrates really well into an existing Ring security system. The line includes a floodlight, a spotlight, pathway lighting and step lighting, and all feature motion detectors. As with any security light, when motion is detected, the light will switch on. But with Ring’s new lights, the magic comes via networking. Users can set the Ring app so that when one motion detector catches movement, all the lights come on and Ring video cameras can also be programmed to start recording. This means the lights can be used to create a much larger motion detection zone around a house, while also making the property look nicer—and visitors get more safety lighting. Our second favorite feature of the lights is the price. They range from $18 for the step light to $70 for the wired floodlight, which is pretty reasonable. Ring also has a smart transformer that can replace an existing wired landscape lighting transformer so lights can be switched on and off with the Ring system. They’ll all be available in March. We covered the Array by Hampton Connected Lock when it was announced last fall, and now it’s shipping. The Array solves two issues that can befuddle many homeowners. First, this smart door lock connects directly to your Wi-Fi network, so you don’t need a smart home hub or any other product to take advantage of its connectivity. Second, it has a rechargeable battery, which is great because Wi-Fi adapters are power-hungry devils. 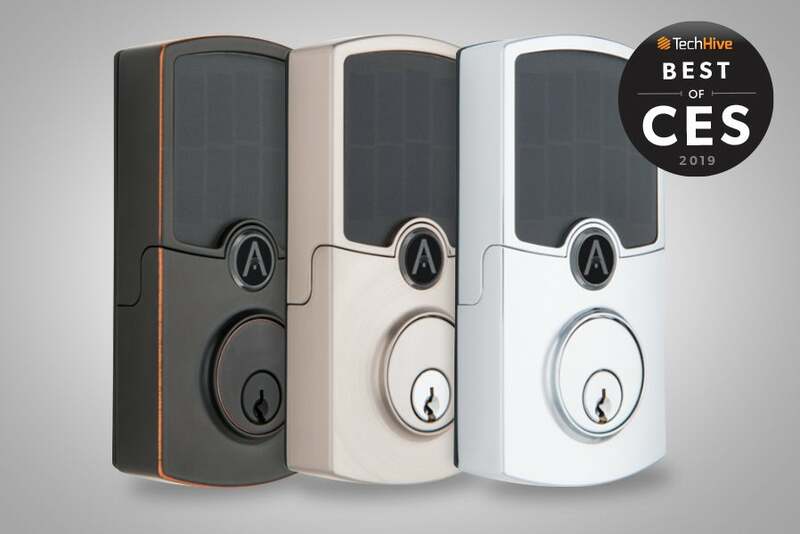 With the Array, you never need to worry about the battery going dead because there’s a solar panel on the face of the lock that keeps the battery forever topped off. Slide the solar panel up and you’ll find a numeric keypad with buttons fabricated from metal—not the typical mushy rubber things you’ll find on many other locks. The buttons are also backlit with blue LEDs to make them easy to see in the dark. Smart locks are all over the CES 2019 show floor, but the Array is the most impressive. The Wi-Fi Alliance won’t start its certification process until later this year, but if you’re a gamer itching to get into a Wi-Fi 6 router (aka 801.11ax), TP-Link’s Archer AX11000 looks like it will deliver the goods. Its aggressive industrial design, with bold red accents on its eight antennas, hits all the right notes. But it’s what’s under the hood that makes this router cook. Its tri-band Wi-Fi chipset can deliver blistering wireless speeds: 1,148Mbps of wireless throughput on its 2.4GHz network and a whopping 4,804Mbps on both of its 5GHz networks. If you’re lucky enough to have a very high-speed broadband connection, this router has a 2.5Gbps WAN port, and there are eight 1Gbps LAN ports so you can host wired LAN parties with friends. USB-C 3.0 and USB-A 3.0 ports are onboard to make it easy to share fast storage over your network. Samsung’s “The Wall” series TVs impress with their gargantuan size, but let’s be real—they’re not something consumers are ever likely to put in their homes. That’s why we’re excited to see the company getting ready to offer the micro-LED technology that makes “The Wall” possible in a more attainable 75-inch form factor. That’s still very big (and it could be very expensive), but it’s a TV that mere mortals can at least aspire to own. 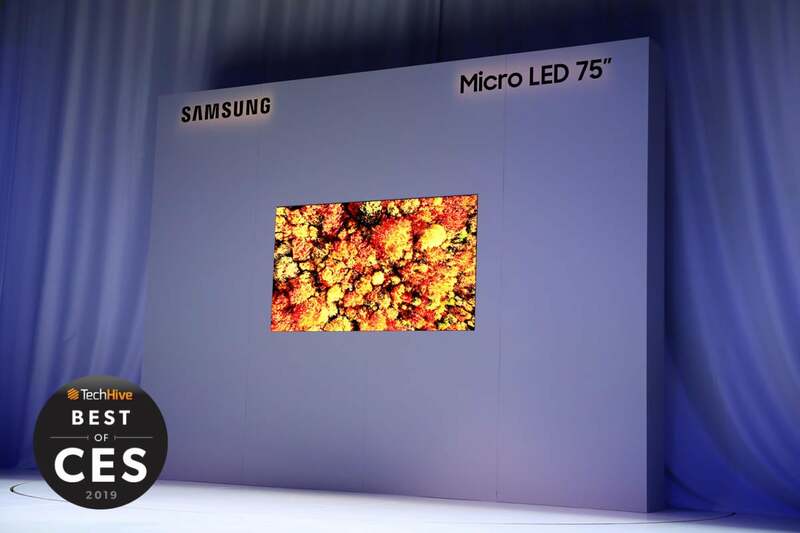 Micro-LEDs are self-emitting, just like OLEDs, and they offer nearly all the benefits of OLED: deep blacks, rich color, no backlight, and great off-axis viewing. But they also deliver those benefits without any of the drawbacks associated with OLED. Micro-LEDs are not organic, so there shouldn’t be any issues with image burn-in, and they should have a longer useful life than OLED. Emphasis on “should” here. The technology isn’t yet ready for retail, so we don’t know what other drawbacks might materialize. But what we saw at CES left us slack-jawed. This upcoming video doorbell from Netatmo has something every security camera consumer will love: a lack of monthly fees. It’s secret is an internal microSD card slot for storing video locally rather than on the cloud. You can still access video remotely, but you play it back from the camera rather than from a remote server. If you must have cloud storage, you can set up the doorbell to put files in a personal Dropbox account or on an FTP server. The same scheme is available for Netatmo’s indoor and outdoor security cameras, and it works well. The doorbell’s camera has the widest voltage support of any we’ve seen: 8 to 230 volts, so it can be hooked up to almost any AC supply available. All the other standard functions are present, including high-definition video, night vision, and two-way talk. And it’s one of the first video doorbells with Apple HomeKit support. 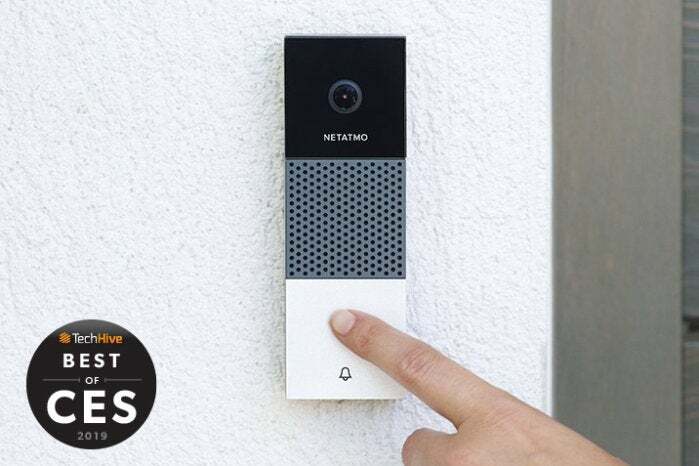 The Netatmo Smart Video Doorbell is due in the second half of 2019 and will cost between $250 and $300. The Ecovacs Atmobot is one of the first smart gadgets that focuses on improving the greater environmental aspects of your home. It’s a cross between a portable home air filter and a robot vacuum cleaner, and will autonomously navigate around you home, measure the air quality in each room, and filter it if required. Ecovacs has put the same smarts into the Atmobot as it uses in its robot vacuum cleaners: a laser distance sensor and ultrasonic sensors that enable the Atmobot to map and navigate around a home. Once air quality is deemed adequate, it will navigate to another location and start its cleaning process all over again. 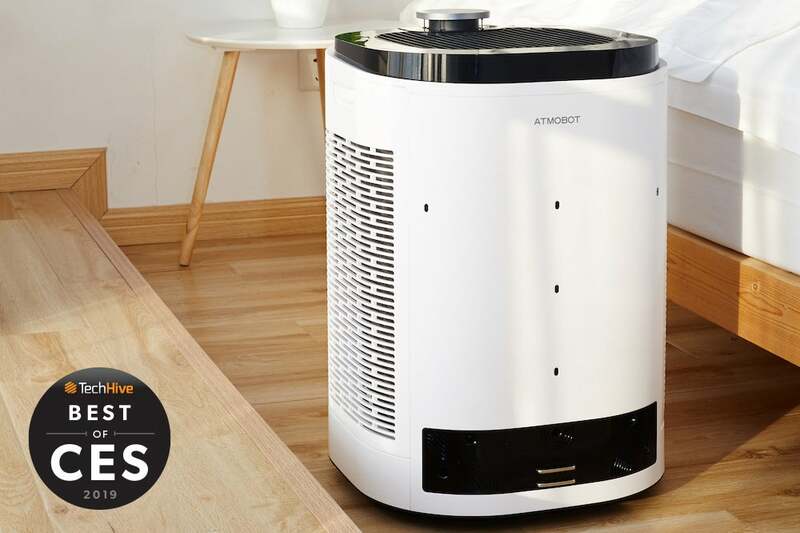 Inside the Atmobot is a four-layer HEPA (high-efficiency particulate air) filter and a three-speed fan to filter and clean the air. During a demonstration at CES, the Atmobot appeared to act quickly and efficiently. The Atmobot will be available later in the year, but pricing wasn’t announced. 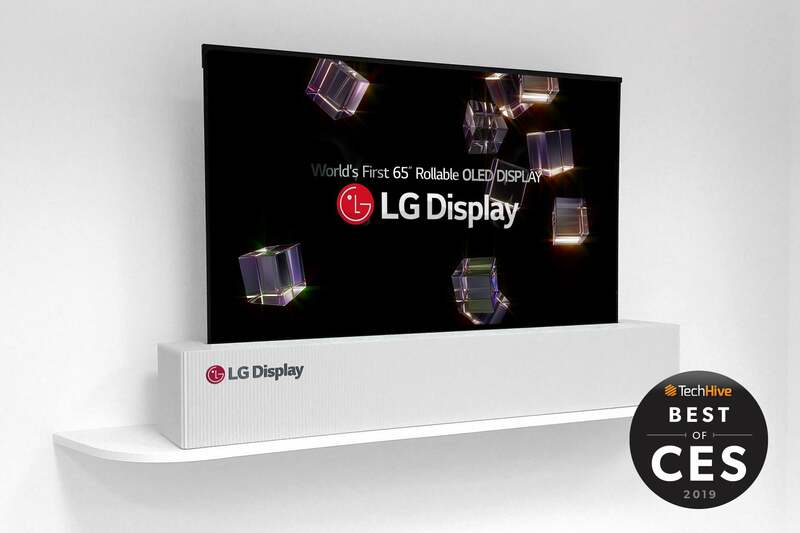 We love LG’s OLED TV R9 because it could change the way people design their living spaces—and it’s super cool. The TV is based on a flexible OLED display panel attached to a mechanism that raises and lowers it from a base unit on demand. If you remember old-style projector screens, then you’ll get the idea... but imagine that concept with a brilliant 65-inch OLED display. TV makers have been promising rollable screens for years, but they’ve never really delivered. Until now. When it’s fully extended it looks just like a regular TV, but it can be rolled back inside the base unit when not being used. That means a large, black void will no longer dominate your room. There’s also a clever setting where the top third of the screen remains visible and can be used as a visual interface for a music player, clock, or some other type of content. LG didn’t announce a price (though it’s sure to be expensive! ), and it will be available in the second half of 2019. 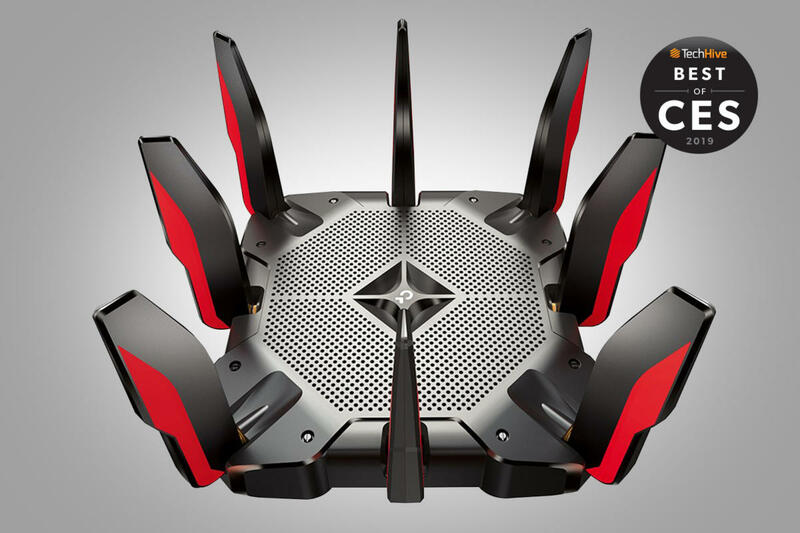 Gamers aren’t the only people who’ll benefit from Wi-Fi 6 routers. Streaming audio and video over your wireless network—especially high-resolution audio and 4K video—can be too difficult for the current generation of Wi-Fi gear to handle. And mesh networks are our top recommendation for most homes. So it’s exciting to see Netgear embrace Wi-Fi 6 on its powerful Orbi Wi-Fi mesh router. 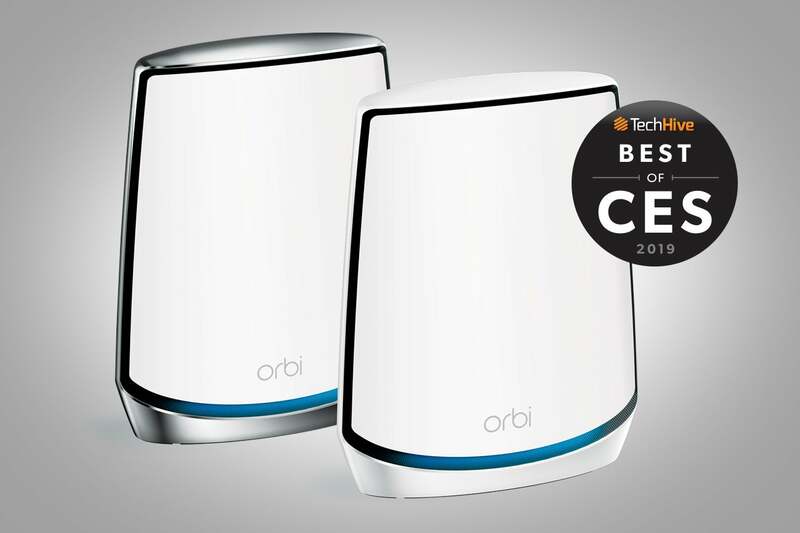 The new Netgear Orbi With Wi-Fi 6 will support 12 concurrent data streams to deliver four times the capacity per node as its previous top-shelf mesh system. The tri-band router will also have second 5GHz network supporting four spatial streams in each direction dedicated to data backhaul. If your ISP is delivering gigabit internet to your home, Netgear says this router will deliver that speed wirelessly everywhere in your home. We can’t wait to get our hands on one of these for benchmarking. The surging popularity of turntables isn’t just a matter of nostalgia. Indeed, you don’t need to be an audiophile to hear the warmth and character that the old-school analog technology can deliver. Digital audio, on the other hand, is so much more convenient, especially in its wireless forms. Enter Cambridge Audio, which blends the best of both worlds with its ALVA TT direct-drive turntable. 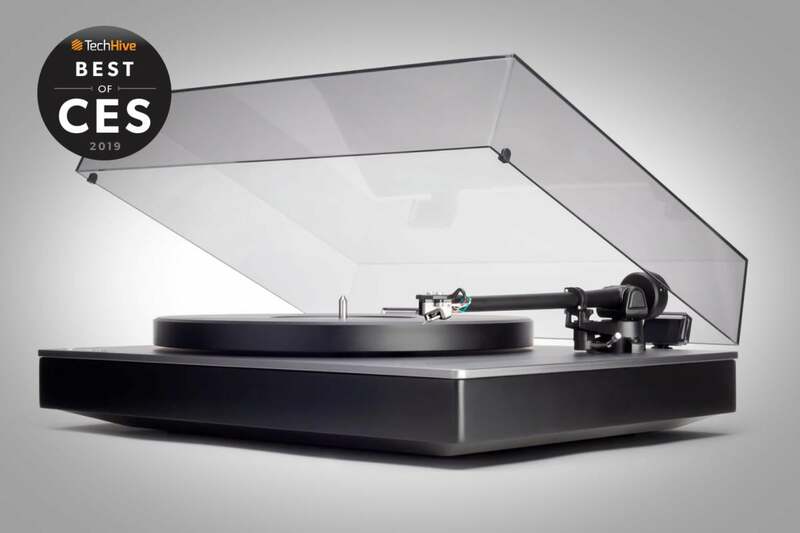 This precisely manufactured device—the plinth is milled from a single piece of aluminum, as is the one-piece tonearm—digitizes audio as it plays your vinyl and streams the music over Bluetooth to an amplifier, powered speakers, or headphones in 24-bit/96kHz resolution. The key is support for Qualcomm’s aptX HD codec, so the device receiving the stream must also support aptX HD to get the highest performance, but it will work with any Bluetooth device. The demos we heard at CES blew us away. If you want to keep everything old-school, the ALVA TT also has analog RCA stereo outputs, but you don’t need to sacrifice quality for convenience. Smart Plugs are convenient, especially for apartment dwellers, but in-wall smart outlets look so much more polished. 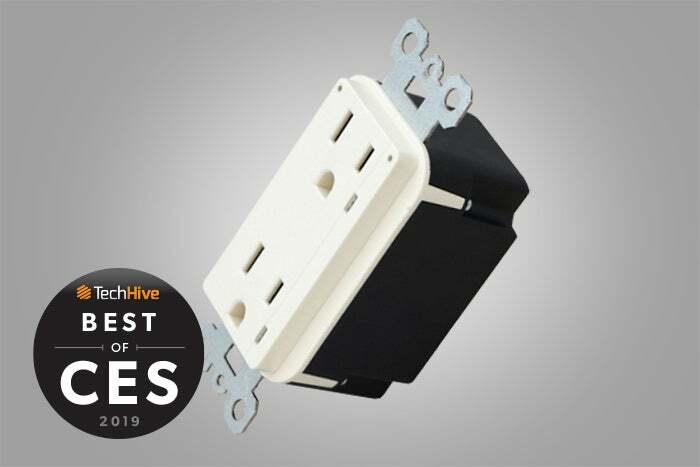 ConnectSense makes one of our favorite smart plugs, and now the company coming out with a smart in-wall outlet in both 15- and 20-amp configurations. And the company went above and beyond to deliver more than what most people expect from this type of product. Each of the receptacles in the duplex outlet can be turned on and off independent of the other, and touch-sensitive buttons let you do the same with your fingertip. There’s support for both Wi-Fi and ZigBee, so you can use the outlet with or without a smart home hub, and the device is HomeKit compatible, too. There’s support for both Alexa and Google Assistant, so you can control it with voice commands. The ConnectSense app tracks and reports how much energy the outlet consumes, and it will monitor its temperature and warn you if it exceeds a defined ceiling. ConnectSense has the most innovative smart outlet we’ve seen. What’s better than a video camera in a doorbell? Two video cameras! 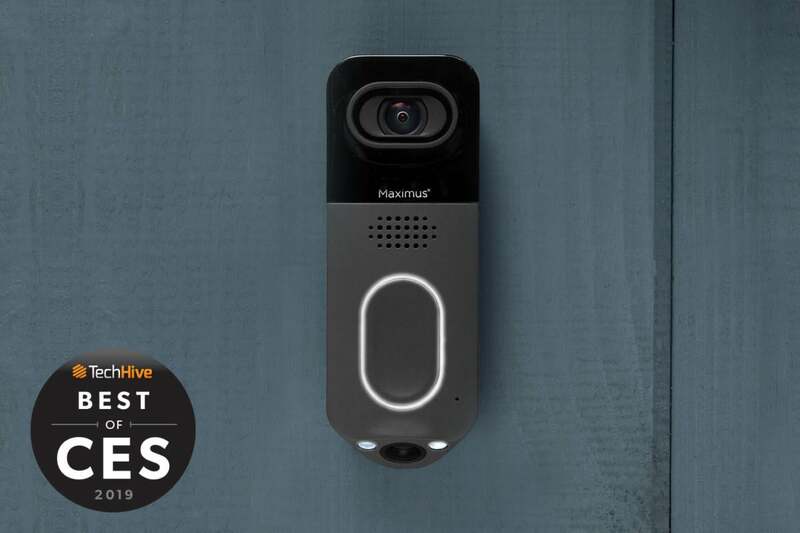 Maximus has the first dual-camera video doorbell, and it looks pretty neat. The top camera faces out to capture an image that isn’t much different from any video doorbell. But the bottom one is unique—it’s angled downward to capture a full image of the ground wherever it’s mounted. The driving force for this new feature is the large number of package thefts from porches. With the Maximus Answer, you’ll be able to see not only if a package was delivered, but also check to see if it’s still sitting on your porch. It might also be useful to spot anything under adult waist height, like small kids or animals. Maximus says it will launch the Answer in May or June this year, and it will cost about $189. When we hear Black & Decker, we think of power tools and home appliances, not healthcare and the smart home. That changed after our Pria demo. It’s like a smart display—an Echo Show or JBL Link View, for instance—but it’s much more specialized. It’s designed to help elderly folks stay in their homes (a concept known as “aging in place”) by enabling the younger generation to monitor their activity in a minimally invasive way. 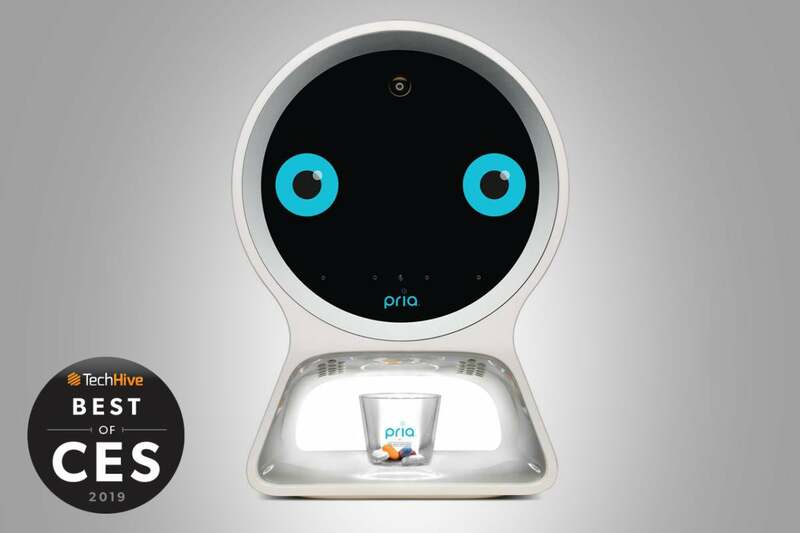 Pria is HIPAA compliant and does everything from video calls to automatically dispensing medication according to dosing instructions. It sends push notifications to the remote caregiver regarding medication adherence, so that interactions with the person being cared for are welcomed social events and not dreaded nag sessions. Used in conjunction with Black & Decker’s Omni mesh Wi-Fi system, Pria can even monitor a person’s movements around the home, so the caregiver is notified if someone enters but doesn’t leave the bedroom or bathroom, for example. This looks like a great product for those who need it.